SURPRISE has been expressed in the media over the rather sudden sighting of Nadeem Afzal Chann as the official spokesman of Prime Minster Imran Khan. This reaction is understandable so far as there was already a whole battery of reps available to the prime minister through whom he could communicate with the people. Otherwise, given the rumours about just how big an admirer Mr Khan is of Mr Chann’s political acumen, the two were long destined to be in each other’s company and act as each other’s voice. 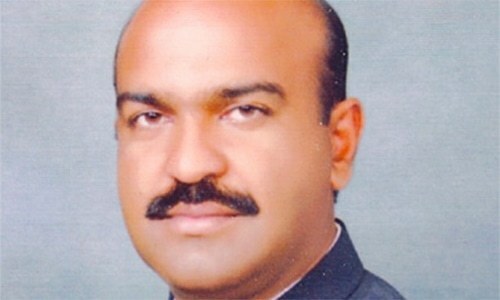 Nadeem Afzal Chann was one of the few practising politicians of whom Mr Imran Khan approved as he went about clearing all inhibitions and hurdles on his way to becoming prime minister. One thing that stood out was Mr Khan’s liking for good people in other parties over and above his fondness for the activists in the fold of his own Pakistan Tehreek-i-Insaf. In fact, as the search for winning horses who could guarantee PTI a term in power intensified, instances could be cited where it looked as if the party high command had developed a complex that forced it to rate some politicians in other parties higher than those raised in its own camps. It can be recalled how quickly and easily the outsiders who had just arrived in the PTI secured the nominations for the 2018 election, while some of his closest associates from the early days of the party had to wait for long to get a nod. Mr Khan had never made an effort to hide just how eager he was to have Nadeem Chann or Qamar Kaira by his side. You could argue that this was by no means an odd little outcome since these privileged nominees had joined the PTI only after having been promised party tickets. But then, Mr Khan had never made an effort to hide just how eager he was to have Nadeem Chann or Qamar Kaira by his side — obviously at the cost of losing or pushing into the background those who had flanked him until then. Yes, the PPP was a natural favourite source for the Kaptaan to scour for talent. The PTI was finding it tough to stay relevant but, to its good fortune, it could still woo and draft in from other parties faces that could give it a lift. With some skill in following the right course of history, it can be established that when Prime Minister Khan chose his original team in August 2018, he once again showed a lack of trust in his old PTI vanguard of two decades ago and pragmatically posted men who he thought were more capable of setting the direction for his ‘government’. To ensure that everyone understood his intentions and the combative nature of his advance, he chose Fawad Chaudhry as his information man at the centre and Fayyaz Chauhan as the spokesman of the government in a very important but still not quite secured Punjab. If this was their intention, the two gentlemen succeeded in creating the impression that a lot of raw sentiment went into how the PTI ruled the country — just when not much was happening for the government on other fronts, most important, the area of economics. There were, however, repeated reminders along the way which said that the tone had to cease and the voice ebb in the interests of the government itself. It was thought that the fire-spitting info machine would be employed a little more sparingly as the PTI found its feet and acquired greater clarity. The idiom has, however, undergone no tempering and, quite contrary to initial expectations, the practitioners of the combative style have found new causes to spend their proven talents on. 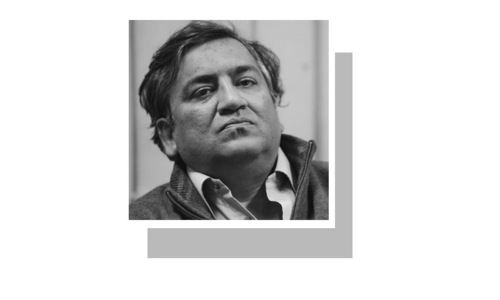 Mr Fawad Chaudhry, who has a knack of finding a few opponents to mock and tease, is today an important enough lieutenant in the Imran Khan camp to be leading a PTI column in the party’s invasion of Sindh. It appears that the PTI still feels it needs to say a few things, though not necessarily in the vein that it had chosen to intimidate everyone with. The party — or more specifically Mr Khan — wants to create another side to him wrapped in an aura of subtlety and less emotional politics to engage with the political animals who are in it not just for the love of name-calling and one-liners. He could have perhaps gone about looking for the right kind of person among the old-style, original and ideological workers to help him attain this goal. But the Kaptaan has shown his bias for products finished by parties other than the PTI to serve important functions at crucial junctures in the past. This is exactly what he has done now in asking Mr Chann to field for him even though the latter had lost the 2018 election — as well as the poll in 2013. Mr Nadeem Afzal Chann is expected to settle into his role quickly. On evidence of his previous showings, he is quite capable of passing the test where every television anchor is going to confront him with clips from his PPP days when he was, ‘quite naturally’, inclined to not pay any glowing tributes to the leadership of Mr Khan. Others have survived the stern examination and have in time reclaimed their poise, applying intimidation as an effective counter technique. This latest PPP import with the gait of a professional boxer and the name of a ninja master could help the Khan government come up with a parallel idiom to the unbridled original one, which is now either too hard to become mellow or desires to be kept as such. The Chann option could well find the prime minister working on long-term causes and relationships, and responding to issues in a more restrained, measured manner. The crucial question, amid all this talk about groupings emerging within the PTI, will be how Prime Minister Imran Khan reconciles the many voices representing the various clashing trends within. Keep it up Fawad Hassan Chaudhary. You hit the punch effectively even though mostly under the belt. Isn't This Article a little late Since Nadeem Afzal Gondal has joined PTI almost an Year ago. Don’t feel uncomfortable defending PPP through years now PTI ?? ?This state of affairs saddens sane people of Pakistan. Nadeem Afzal Chan is a good choice. We QZK should be the next. Good articles. It would be nice if Mr. Nadeem Chann, who knows the corruption techniques of other party, would expose the looters as to how those looters devised a system to make illegal money and properties. This guy is only worried aboit his friends and not the country.